Despite not being the most difficult of climbs, Sestriere has featured many memorable rides by some of the sport’s biggest names. Among them is Fausto Coppi in the Tour de France’s first visit here in 1952, and Miguel Indurain 41 years later in a time trial en route to winning the pink jersey. This is it — the endgame of the 2015 Giro. One final showdown before we’ll know for sure who will stand on the podium adorned in pink at the ceremony in Milan. As is so often the case, the organisers have saved one of the toughest stages until last. 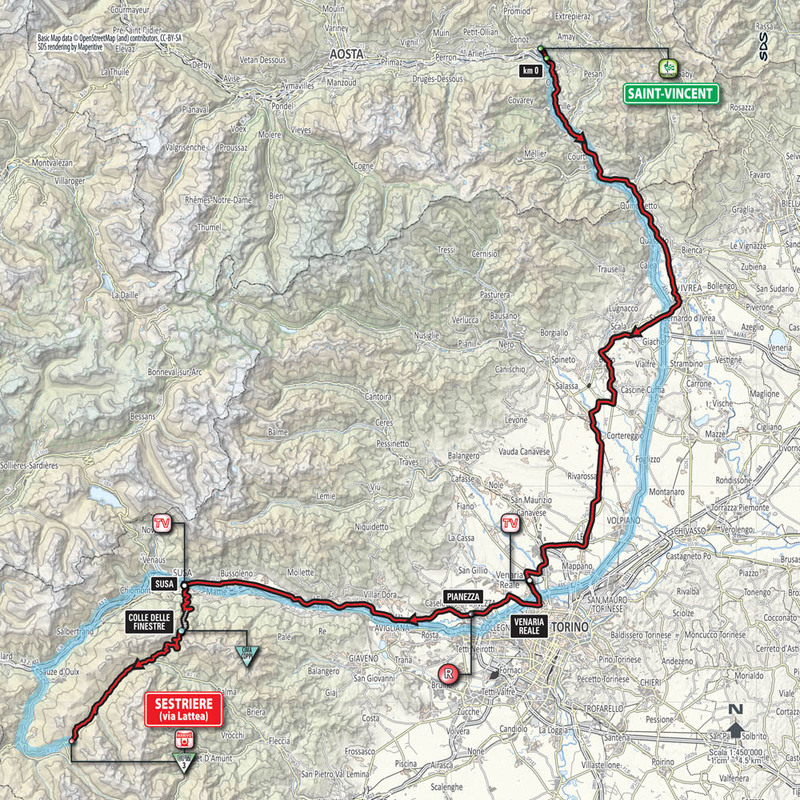 Like yesterday, the first 150km amount to little more than a few sleeping policemen, but the following 45km make for what could — if the race for the overall is still open — be the most thrilling finale. The main source of the riders’ suffering will be the Colle delle Finestre. Classed as the Cima Coppi for being the highest point at this year’s Giro, the Finestre resembles the kind of terrain that the eponymous Italian legend used to compete on, in the form of an 8km stretch across unpaved roads. If that wasn’t enough, an extra 10km of climbing precedes this section, and the gradient as a whole averages over nine per cent. 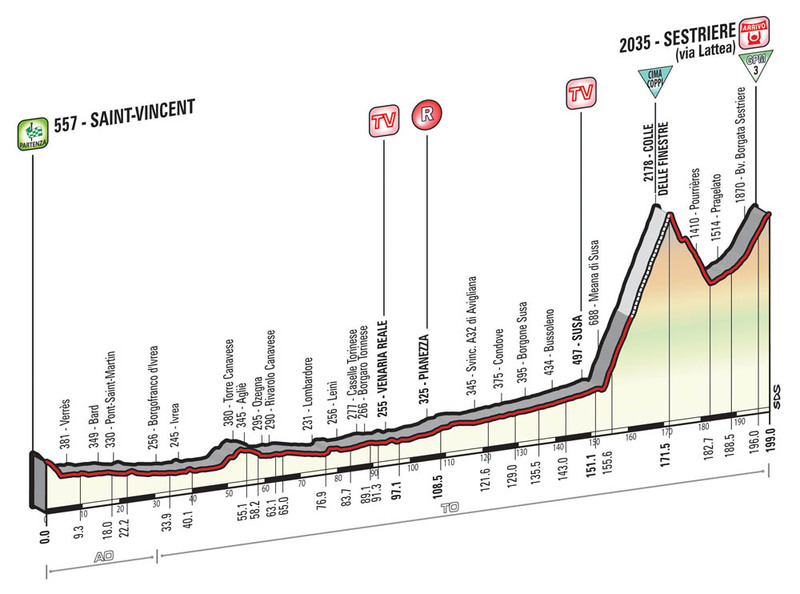 This is probably the hardest climb at this year’s race and, with the following Sestriere a mere half its size in both length and steepness, it’s this one that will likely decide the fate of both the stage and the overall.